Enjoy lightning-fast Wi-Fi on all your devices with the Linksys EA9300 Max-Stream AC4000 MU-MIMO Tri-Band Router. With this, you can make your home office faster and more productive with four Gigabit ethernet ports and MU-MIMO technology. Now you can videoconference and share files without interruption, even when the rest of your family is gaming and streaming HD video. 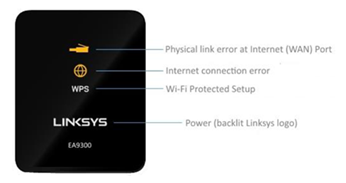 This article will show you the indicator lights’ behavior of the Linksys EA9300.